Children’s Book Cover, 2003, Written by Alan Powers. This is the front cover of the book about front covers! Guess what, it is filled with front covers! Alice’s Adventures in Wonderland, 1993, Written by Lewis Carroll, Page 33. This is illustrated by Tony Ross who also wrote Stone Soup which I enjoyed reading as a child. It is very colourful, all based on the colour blue and he has has used ratio and perspective to create the effect of Alice being really big and can’t fit nicely anywhere. With characters hidden in the background to give a sense of what the story holds. Alice’s Adventures in Wonderland, 1907, Written by Lewis Carroll, Page 33. This was illustrated by Arthur Rackham, a totally different take on the story. 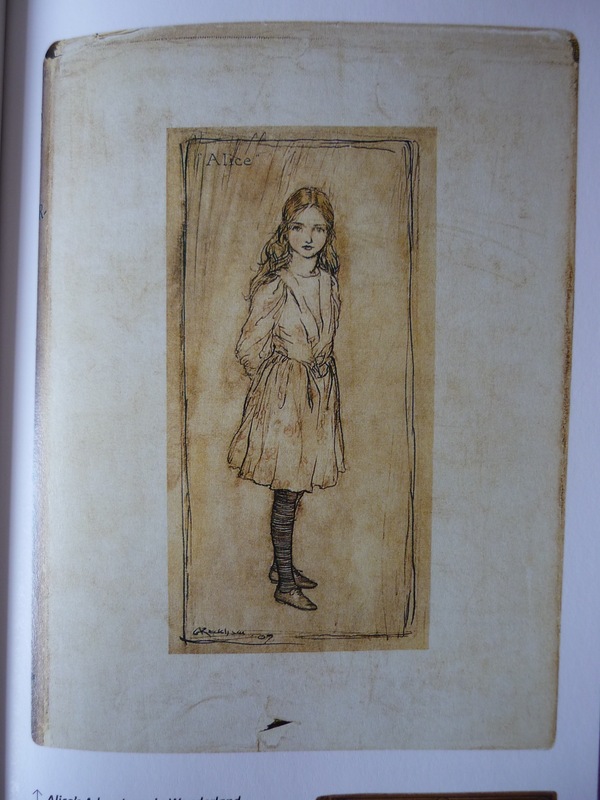 Alice is beautifully drawn using block binding for a gift book edition, she is isolated and is staring right at the viewer which could be seen as a little intimidating. 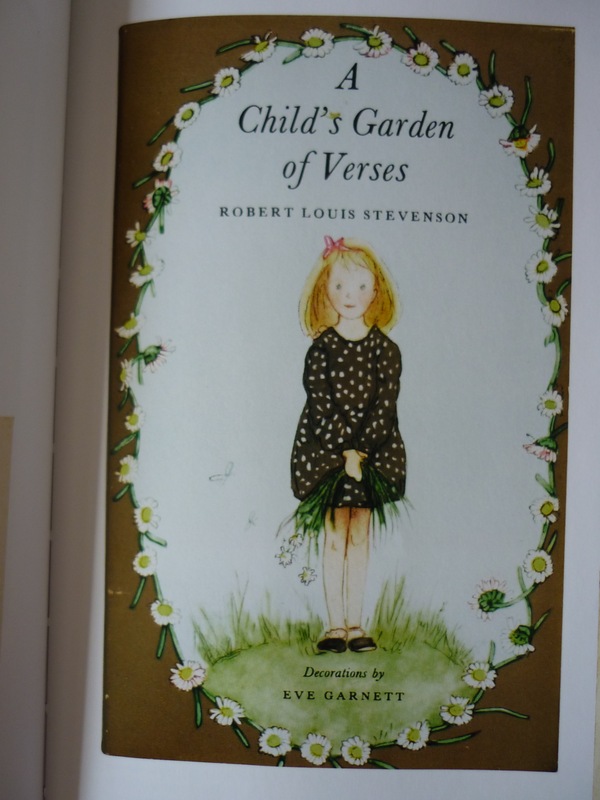 A Child’s Garden of Verses, 1948, Written by R.L. Stevenson, Page 35. Eve Garnett illustrated this one and it shows sentimentality with the flowers in her hand and the expression on her face. Again an isolated figure not giving much away about what is inside the story, we only know with the type above but otherwise you wouldn’t know what the book would be about. 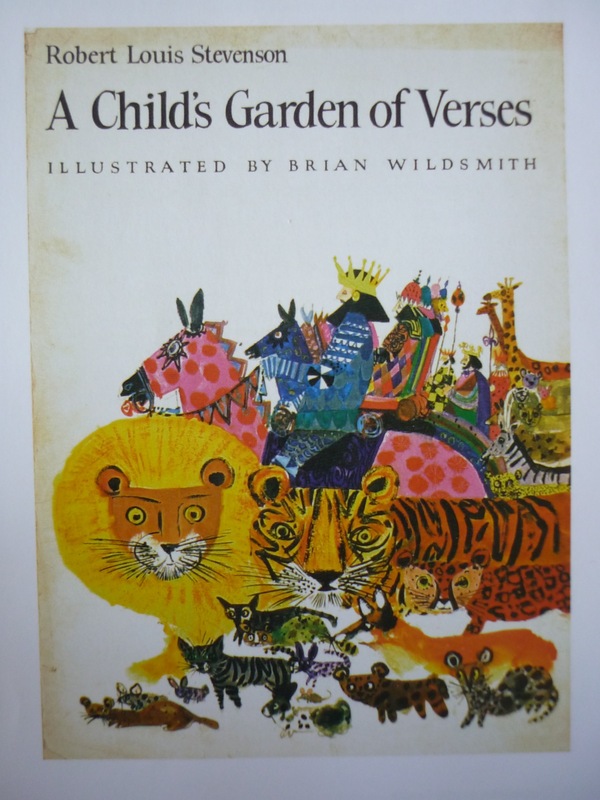 A Child’s Garden of Verses, 1966, Written by R.L. Stevenson, Page 35. I picked this cover out as I find it really intriguing as the animals are boldly drawn and have a weird stare to them. Illustrated by Brian Wildsmith he uses bold distinct colours that tend to represent the animal. The animals are clearly not accurate but are drawn in an artistic way, looking like they have been drawn by a child. The kings in the background are more neatly rendered and stand out from the animals, if he created the kings in the same way I would have thought everything would blend into on blob of colour. 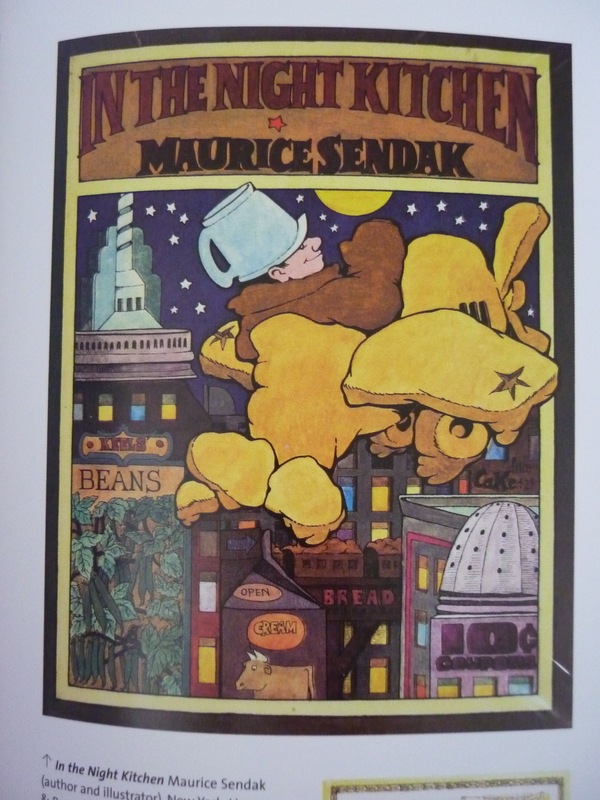 In the Night Kitchen, 1971, Written by Maurice Sendak, Page 91. Illustrated by Maurice Sendak he uses bold shapes and colours, although he uses shades of darkness and lightness to show depth in the scene. I couldn’t see what was going on in the scene until I read the little caption underneath – the boy is in an aeroplane made out of dough and is flying over New York. For me personally I like the image but I think it isn’t clearly readable on what’s going on. Hildilid’s Night, 1973, Written by Cheli Duran Ryan, Page 99. I like this simple black and white drawing with the yellow bold text. 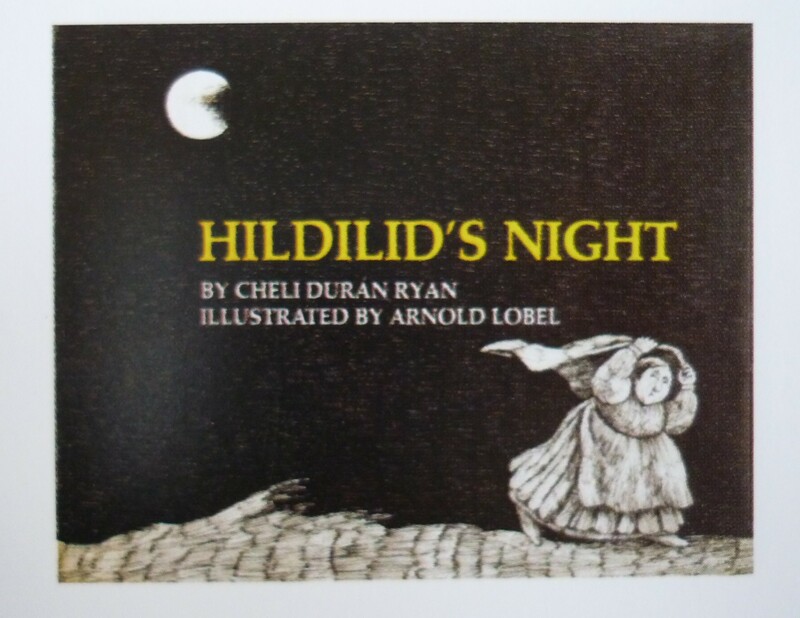 Illustrated by Arnold Lobel, the scene looks like she is scared running away from the moon suggesting the topics linked to full moons are werewolves. It would make me pick up the book as I want to know what happens to her and the story behind this scene. 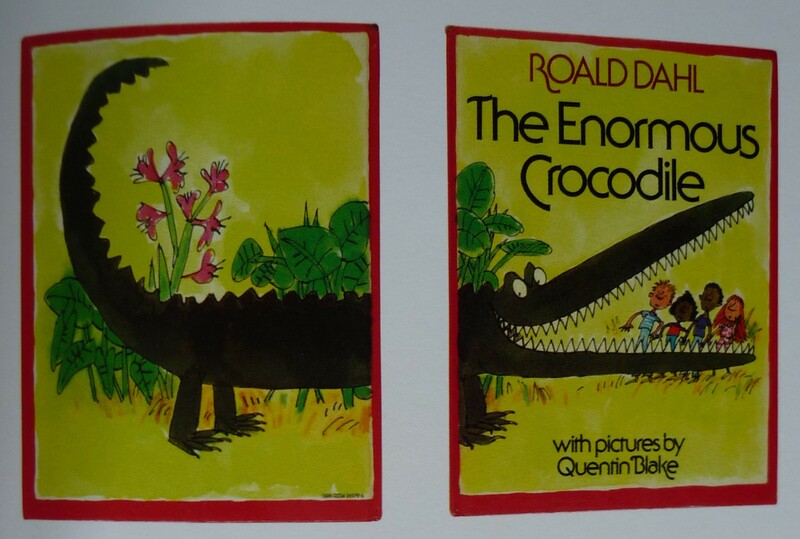 The Enormous Crocodile, 1978, Written by Roald Dahl, Page 119. 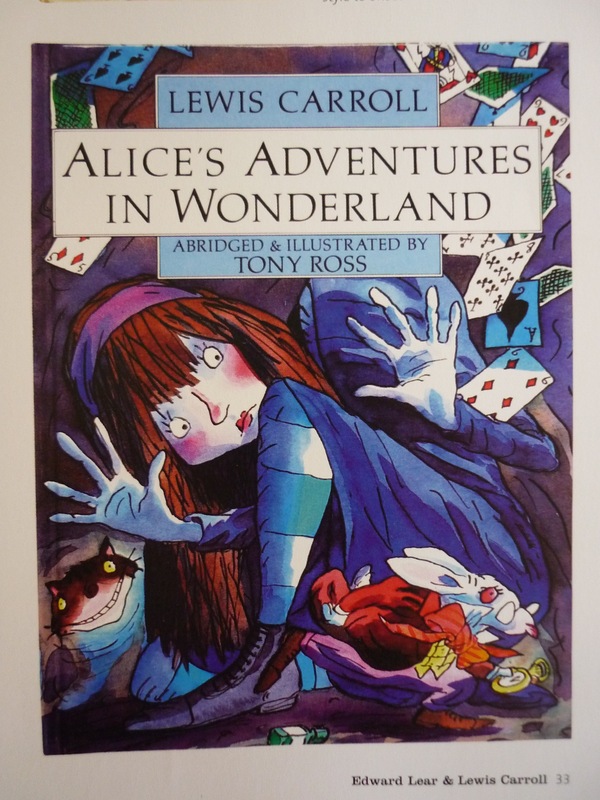 Illustrated by the well known illustrator Quentin Blake, he has used both sides of the front and back cover which creates another scene in itself. I could do this for my book but I feel like I simple front cover with a simple illustration on the back would work better as it’s a small square book and I don’t want the look of it too be overpowered by a large image. I have seen books where they don’t have a scene or a main character at all on the from cover and all there is a blank or patterned book. I find the patterns have to be beautifully created or have a simplicity to them for me to want to know whats inside of the book. I don’t this style would suit my book, I need to grab the viewers attention straight away and not let them get bored of the first image they see. 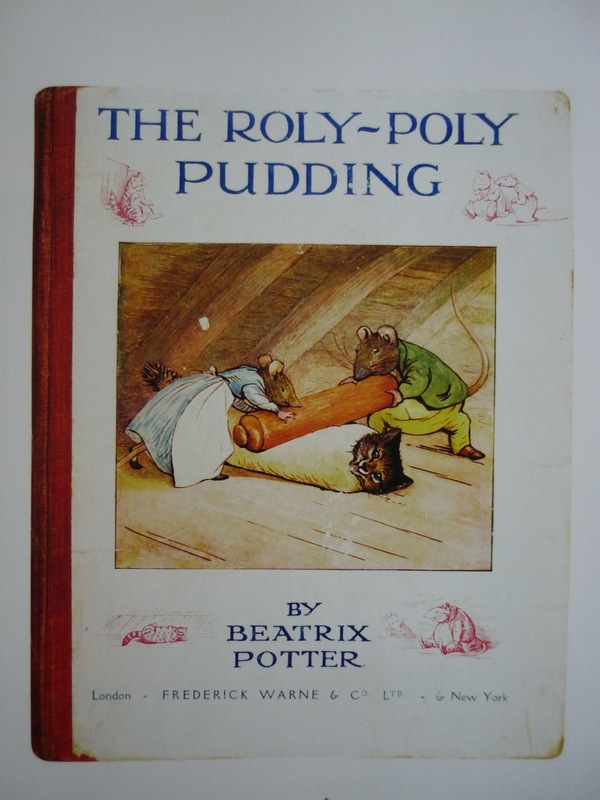 The Roly-Poly Pudding, 1908, Written by Beatrix Potter, Page 27. Another classic that many people know, illustrated by Beatrix it shows a scene where the nice are making dinner out of the cat. I found this scene quite scary with the facial expressions and the body positions the characters are showing. I like how there is one main scene in the centre with type above but then there are smaller line illustrations placed around the scene. I think it shows what is to come inside the book but without giving too much away. Three Aesop Fox Fables, 1972, Written by Paul Galdone, Page 29. Where’s Spot? 1980, Written by Eric Hill, Page 122. Five Minutes’ Peace, 1988, Written by Jill Murphy, Page 123. All these three book include the main character in the scene. 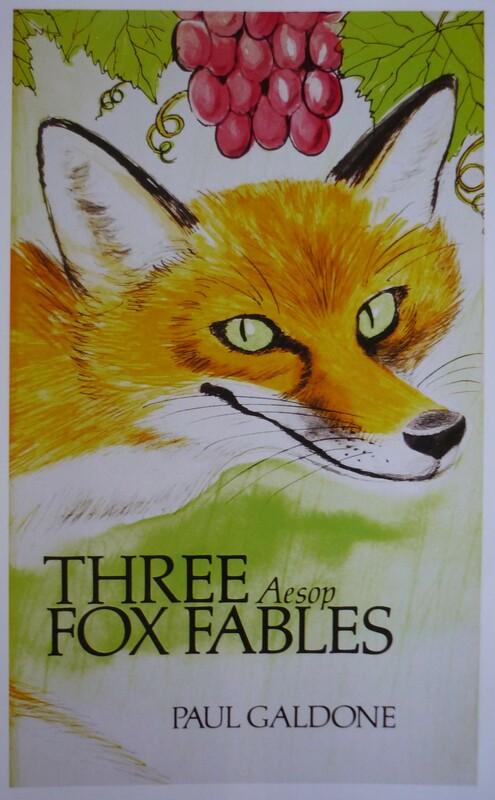 Three Aesop Fox Fables illustrated by Paul Galdone chose one character out of all the fables and focused the image on the personality of the fox. 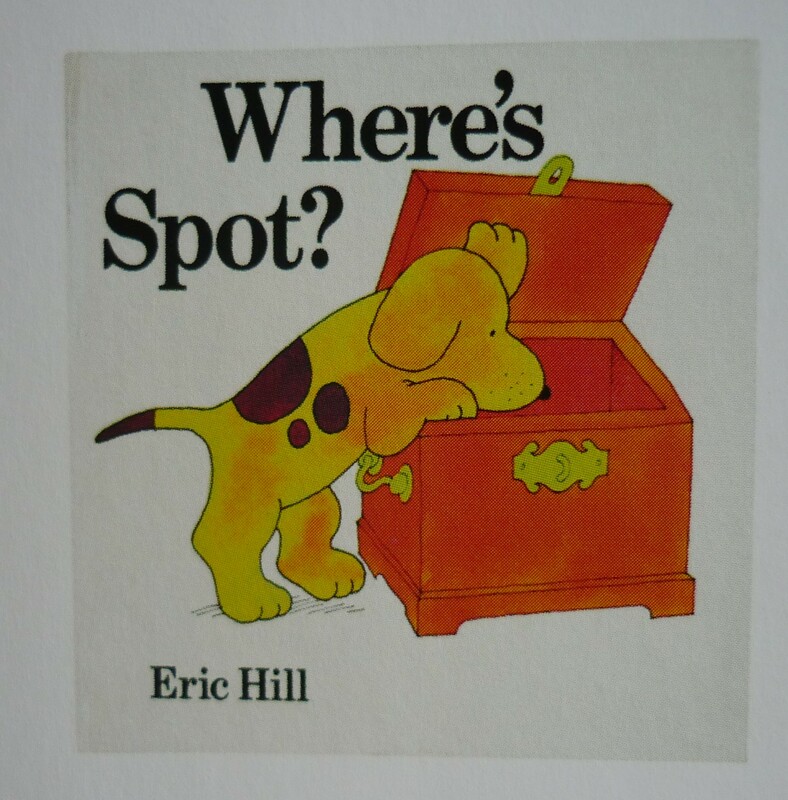 Eric Hill illustrated Where’s Spot? he has used flat line and colour drawings on a white background to highlight the main character and objects within the scene. I think this style wouldn’t suit the cover of my book as the drawings inside wouldn’t be the same as the front and would look odd. 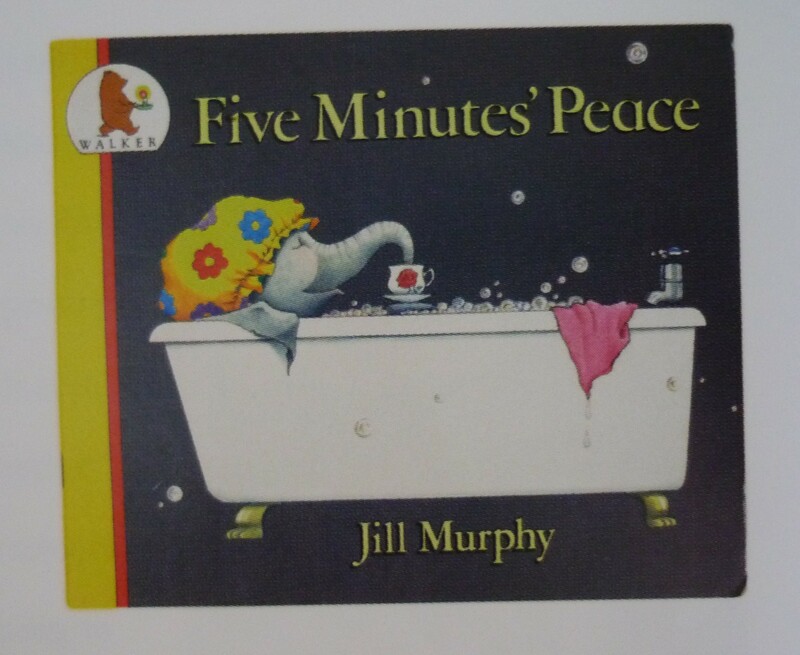 Jill Murphy who illustrated Five Minutes’ Peace has used the opposite to Eric and placed the main character on a dark background using light colours to highlight character. 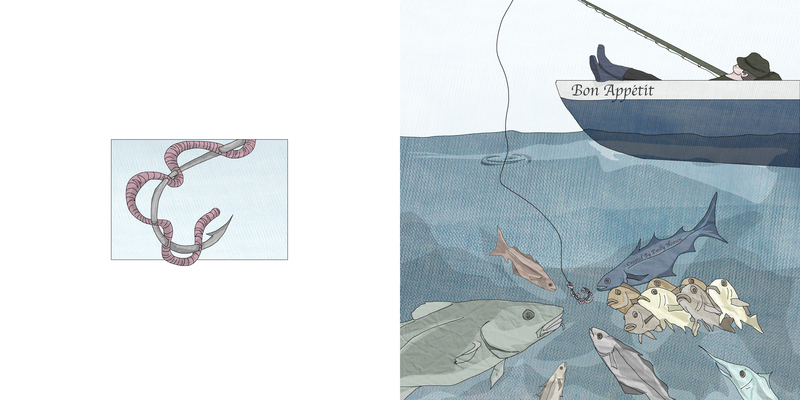 The book being called Bon Appetit it shows the fish looking at the worm thinking that could be their dinner yet the fisherman is also getting his dinner whilst lounging in the boat. The worm in the back cover carries on the theme of fishing and it doesn’t overpower the front cover. I am pleased with this front cover and if I would change it I think I would spend more time in developing a new scene. 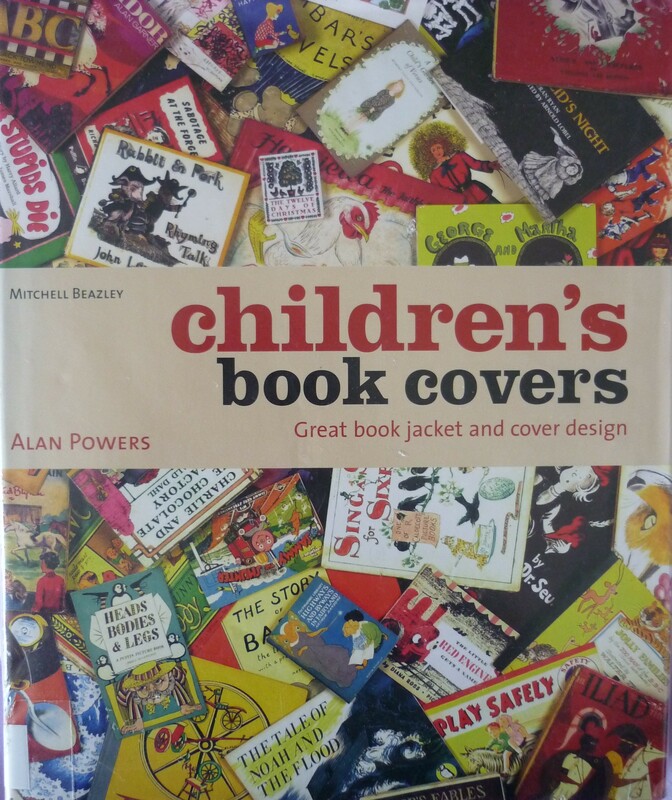 Powers, A., 2003, Children’s Book Cover – Great book jacket and cover design. London: Mitchell Beazley. This entry was posted in Children's book covers - review.